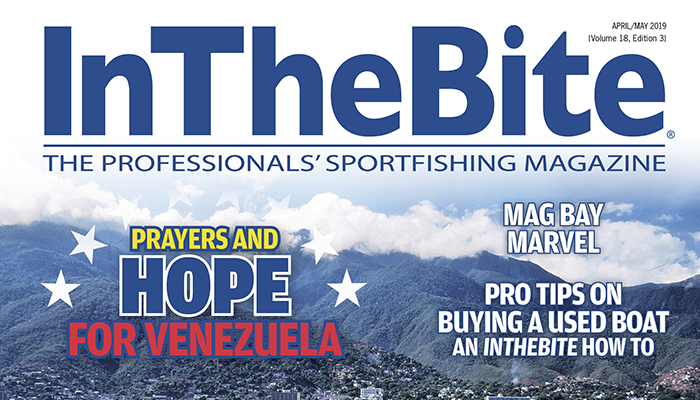 Over the 5 days, the 329 registered boats caught a record 1,412 total billfish. Of that total, 1,358 were white marlin, surpassing the previous a WMO Tournament record of 1,104 set in 2002. The results also confirmed the commitment to conservation demonstrated by the saltwater recreational angling community. The biggest prize money goes to white marlin, and this year there was over $2,700,00 up for grabs in that division. You would think anglers would bring in anything that came close to qualifying to grad some big bucks. Not this class of fisherman. Of the 1,358 that were caught, 1,334 were released. 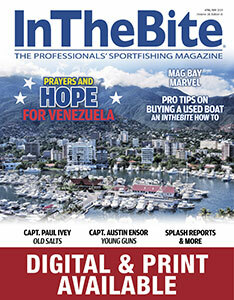 While most boats experienced very good billfishing, the captains of a few boats found extraordinary conditions. The “Bullwinkle” out of Dover, DE found the fish each day and won the coveted 2016 WMO Top Boat Award with a 3-day total of 1890 points. That represented 27 white marlin releases spread between 5 anglers. Close behind at 1750 points was the “Krazy Salts” out of Palm Beach, FL. Team “Krazy Salts” amassed their points with 5 anglers releasing 25 whites. With 23 white marlin releases, the “Billfisher” also from Palm Beach, earned 1610 points good for 3rd Top Boat. Each of the top 3 boats were also registered in the 102 boat field in the Release Level, splitting the $95,000 purse as follows: “Bullwinkle” – $52,250, “Krazy Salts” – $28,500 and the “Billfisher” took $14,250. OK, enough about releases., just show us the money. 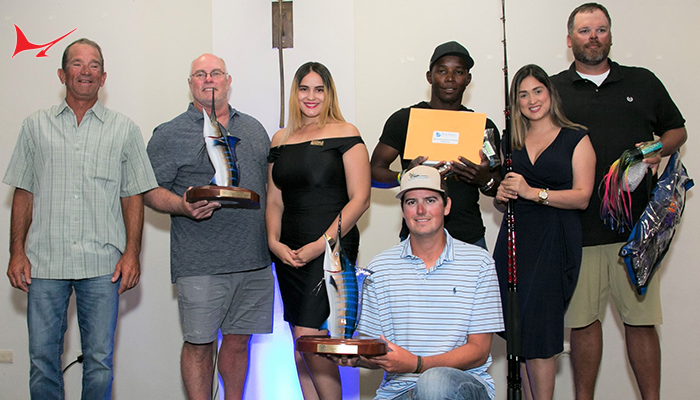 There is a lot of money to be won in all divisions, but the bulk of the prize money is awarded for billfish and the really big money goes to the biggest white marlin. 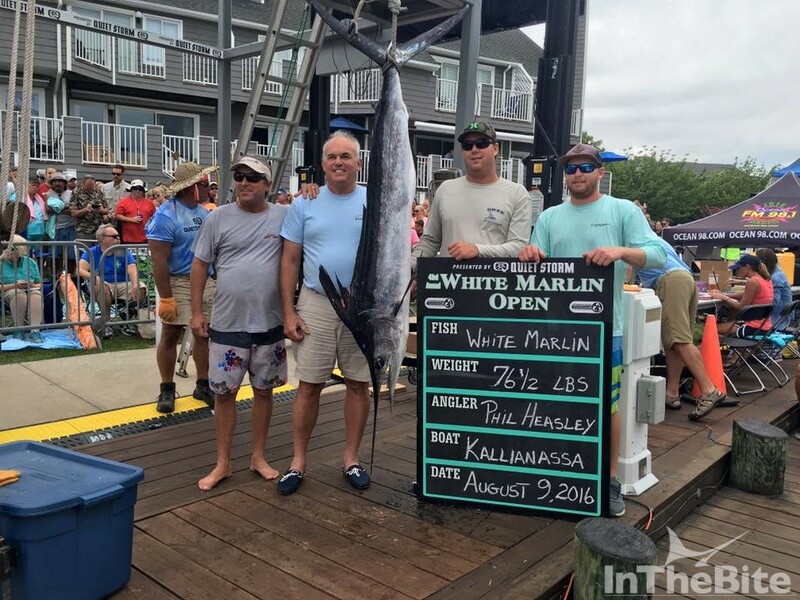 The White Marlin Open was the first tournament to award one million dollars for catching a fish including a WMO Tournament Record $1,500,000. 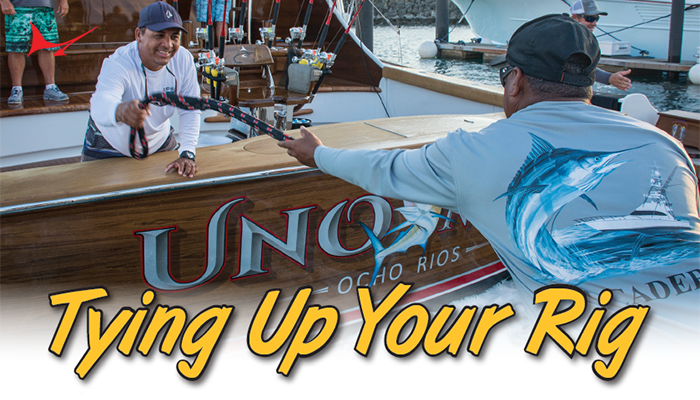 Last summer the White Marlin Open awarded $3.9 million dollars which include two separate million dollar winners. This summer, there was a record 4.4 million dollars up for grabs with at least one guaranteed million-dollar prize winner. Because the WM Level started with $1,134,000 it looked as if it were possible the big winner would top our previous record payout of$1,500,000. But to win $2,818,660 wasn’t in the cards. Somehow, the “Kallianassa” found a better deck. 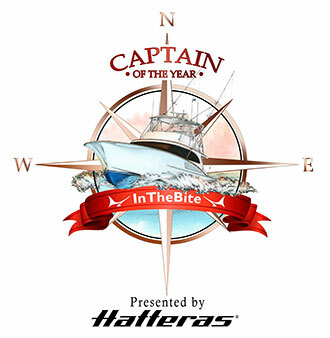 All the stars had to be aligned for Phil Heasley and the “Kallianassa” (both from Naples, FL), to win over 2.3 plus million for catching a marlin. First, they would need to enter all of the white marlin divisions including the $5000 and $10,000 winner take all levels. They could control that part and invested almost $30,000 in their get rich quick scheme. Next, they would have to catch a qualifying white marlin, which they had much less control over and but succeeded by Tuesday. Third, they would have to be the ONLY qualifying white marlin which they had absolutely no control over. They covered their part and fate did the rest. No other white marlin qualified so “Kallianassa” took first, second, and third place money for every white marlin category which equaled more than $2,400,000. But fate had one more surprise. 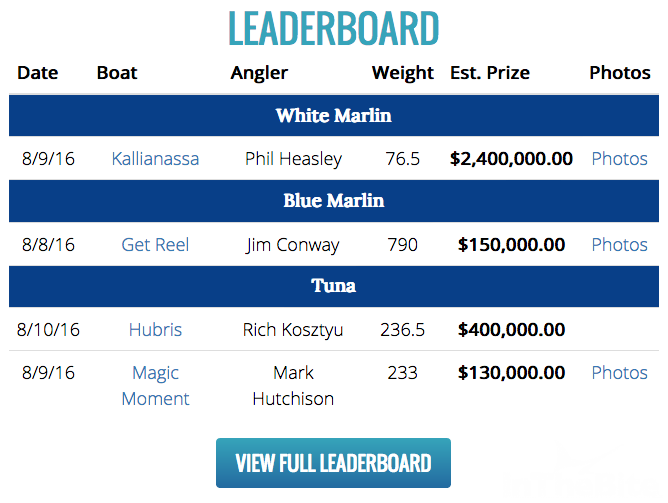 There was one more pool (Level D), that held $460,000 to be divided equally between white marlin and blue marlin winners in Level D. The “Get Reel” wasn’t entered in the Level D division but the “Kallianassa” was. So in addition to the ice cream, syrup and whipped cream, the “Kallianassa” gets the $460,000 cherry on top. 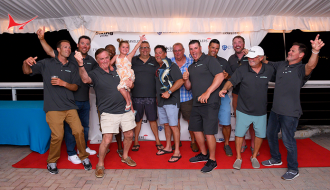 Another record set in in this year’s event was the 236.5-pound bigeye tuna caught by Rich Kosztyu from Hamilton, NJ aboard the Forked River, NJ based “Hubris.” They had already won $400,000 for their top Tuna. What they didn’t count on was money coming from the Level F that was a winner take all division for blue marlin and had $361,000 in the pot. The “Get Reel’s” blue marlin was not entered in that category and the rules say that if no blue marlin qualifies, that money goes to the winning tuna. 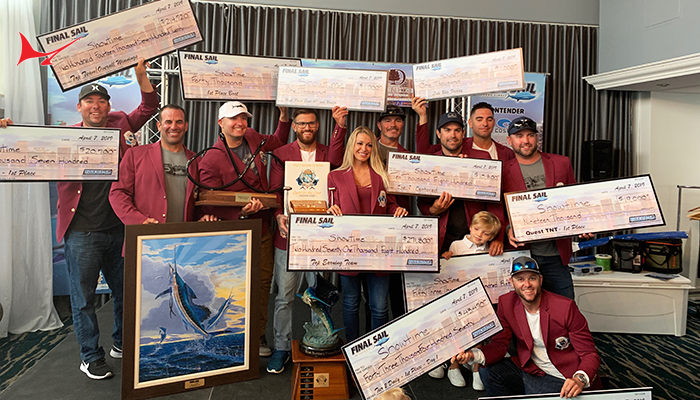 That happened to be the “Hubris” and the boats total winnings for the top tuna ended up to be a WMO Tournament Record tuna payout of $767,091.